BREAKING GROUND AT AMERICOLD’S CLEARFIELD CAMPUS: It’s the gateway for the company’s distribution to the US West Coast. Expansion enhances Americold's national distribution capabilities. Clearfield is one of three US facilities Americold has broken ground on this year. Utah operation is one of five designated Americold National Consolidation Centers. 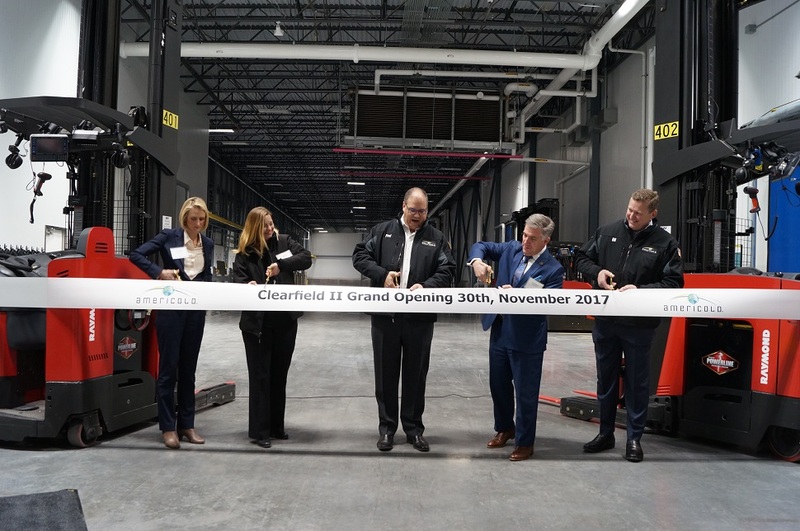 Americold, a provider of temperature-controlled warehousing and logistics to the food industry, has officially opened a new addition to its Clearfield, Utah, campus. The new building adds more than 9.5 million cubic feet of temperature-controlled warehouse space, bringing the total capacity of the campus to nearly 21 million cubic feet. Together with its neighboring Salt Lake City facility, Americold’s Clearfield footprint significantly extends the company’s market leadership in northern Utah to greater than 50 percent of total temperature-controlled warehouse capacity—more than triple of its nearest local competitor. 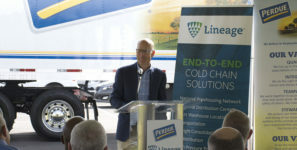 The new facility features innovative technologies that eradicate the need for a large engine room and on-site ammonia storage, but still offers customers adjustable temperature zones down to -20 degrees F along with refrigerated docks. Once fully operational, the campus will employ more than 120 associates in full- and part-time positions. The Clearfield Campus is Americold’s gateway for distribution to the US West Coast. The operation is one of five designated National Consolidation Centers that form Americold’s coast-to-coast distribution network. Customers can deliver to any of Americold’s National Consolidation Center gateways, consolidate less-than-truckload volumes with other products for the same destinations, and benefit from scheduled deliveries to almost every food service provider and food retailer in the country. This approach has huge cost saving implications, providing advantages to large national and multinational food and beverage industry organizations, as well as new startups. Based in Atlanta, Georgia, Americold owns and operates over 160 temperature-controlled warehouses, with more than 1 billion cubic feet of storage, in the United States, Canada, Australia, New Zealand, and Argentina, with a JV in China.